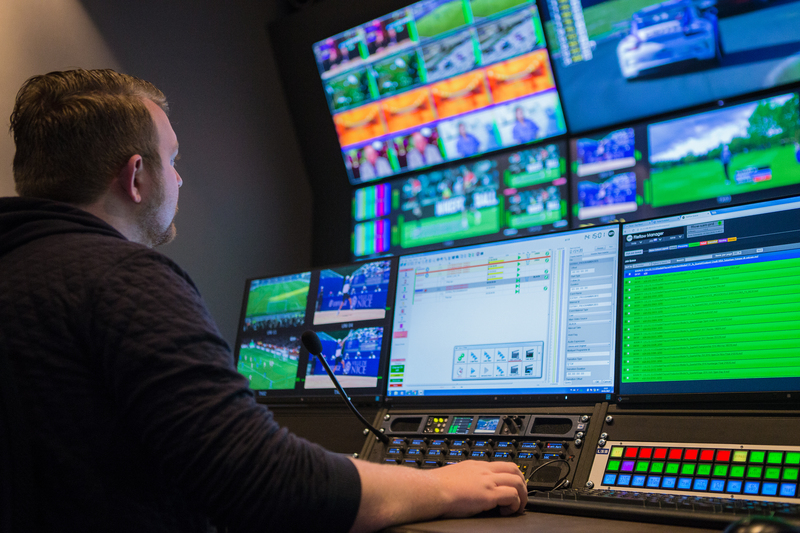 Hilversum, The Netherlands, January 12th 2017 — Starting today, NEP The Netherlands will provide the complete technology for the Ziggo Sport channels, with an end-to-end workflow developed by NEP and built in-house. This solution seamlessly fits Ziggo’s workflow and includes teleport, MCR, studios, Cloud Production, live and post production facilities and offices. Ziggo Sport is located in NEP Studio 11, in the heart of the Hilversum Media Park. Last May Liberty Global, the parent company of Ziggo Sport, selected NEP The Netherlands to build, operate and maintain the complete playout and technical production for the open Ziggo Sport channel, available exclusively for Ziggo subscribers, and a pay-TV service called Ziggo Sport Total, which consists of six channels and is passed through the TV distributors in the Netherlands. There are also five OTT internet channels/streams for broadcasting the Formula 1 Grand Prix. For the more than 12.000 hours of downlink facilities coming from the NEP LiveCenter (MCR) on an annual basis, offered to clients like Ziggo Sport and Eurosport, NEP The Netherlands also installed eight satellite dishes. In the recent past NEP was responsible for the capturing process for its clients with trucks, studios and related technical facilities, but began to see the need for an end-to-end solution. NEP can now provide solutions from sourcing to distribution, with all parts of the broadcast chain involved. Following remote editing (2006) and Cloud Production (2015), Ziggo’s infrastructure is also fully included in NEP’s private cloud. The technical infrastructure is built in NEP’s data center, and after a thorough renovation, in the offices, technical rooms and studios. Within the studio itself, which has an area of 6000 square feet, three sets are provided to accommodate the various programmes that complement the remote broadcasts. It is used for continuity, sports news, Ziggo’s talk show Peptalk, and the Formula One programme, as well as other daily scheduled productions. Augmented Reality (AR) is going to play an important role in the Ziggo programming, and many programmes are a combination of AR and virtual reality. Within the studio NEP built a large green screen area where people can stand in an AR environment. For a number of AR programmes, NEP is utilising its own AR system for a daily show that has a great deal of creativity within it and which can easily be integrated in the production workflow.